The national, as well as international trading markets, offer many premium quality phones to the customers and the most popular premium quality phone known so far is an iPhone or iPad. iPhones have gained their popularity in the market due to several great reasons. iPhones are available in a variety of variants to satisfy the consumer needs and the most important feature is that these phones are timely updated with the latest software’s. As we know that no device is truly perfect and so the Apple phones have a set of their issues. The most popular issue with the iPhones or iPads that have been reported so far is an iPhone stuck in recovery mode. If you are lying amongst the lot which is facing this issue, then relax and don’t worry at all because right here in this article we are providing you with a list of healthy solutions to fix your problems. By going through this article the readers will reveal several ways to fix the problem of iPhone stuck in recovery mode and not only this, but they would also explore how to recover the data that has already been lost when their iPhone was stuck in Recovery mode. Before we provide you with the solutions to the problem, we would like our customers to understand the critical reasons for the cause of this issue so that they can resolve it quickly. Typically, there could be two leading causes for the occurrence of this issue. This problem could occur while up gradation of the device to the latest iOS software. If the customer accidentally attempted to escape their iPhone. One more critical issue that needs to be highlighted is that there might be a case that in spite of fixing all the problems the phone still crops up the notification “iPhone Stuck in Recovery Mode.” To resolve these issue users should be aware of one particular mode called the DFU mode, that is, Device Firmware Update mode. The first step that has to be followed is to turn on the iPhone. Next, the user has to click on the Home + Power icon for ten seconds continuously and then release it when the screen shuts down. 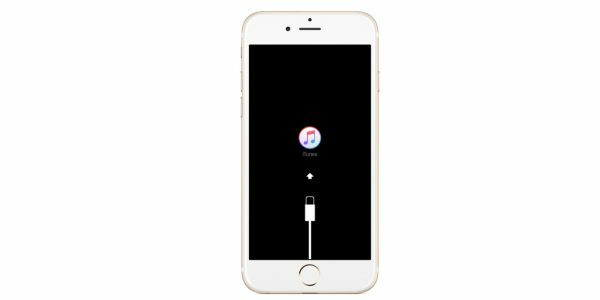 After 20 seconds, when the user releases the digital Home button, the iPhone starts its normal software loading procedure. Next, the restoration of the iPhone to its previous settings has to be performed. After following all the steps mentioned above, you would be able to resolve this problem and you can quickly get the last mode working of your iPhone/iPad. If by any chance you have lost your some amount of your data while performing the recovery of your iPhone, then don’t panic as we are also offering you with an excellent solution to recover your precious data. We have the best data recovery software that will surely help you out in resolving this issue. Our software is available for free download in the app store. After downloading this app and installing it, you can quickly get access to the various steps that have to be followed in order to recover your lost data. This is a straightforward yet useful tool which can serve as a helping hand to the iPhone/iPads users in order to get out from the endless recovery mode loop without any data loss. The most exciting feature of this tool is that it offers all its special services free of cost. These are the steps to be followed after you install this tool in your respective device. Now, if your device is already in a recovery mode, Tenorshare ReiBoot will automatically detect it and it is intelligent enough to highlight the “Exit Recovery Mode” option. After the user notices this highlighted option, he/she has just to select the option and click on it to exit iPhone Recovery mode without iTunes. In a generic case, if a person wants to get his iPhone out of recovery mode what can be done is forcing the phone to restart it. The customer has to press and release the volume up and down in specific order. Next, the consumer has to press the wake/sleep button and keep holding it until the display screen shuts off and the Apple logo is visible on the display screen. After performing all of these steps, the iPhone will boot and will go back to the lock screen. By following all the above strategies that have been mentioned in bold underlined lines, we can guarantee that you will come out of this issue without facing many difficulties. Apart from this, we are providing the readers of this article with some bonus tips that will surely help them in tackling their issues related to data losses in iPhones or iPads. If you are amongst those who are facing issues related to complete or partial data loss in your Apple phones, then we suggest you always to make a habit of restoring your iPhone data and backing it up from time to time. Even if you have lost your valuable data because your iPhone was stuck in Endless Recovery Mode, then also you don’t panic we are acknowledging you with a super app which will keep backing up your data from time to time. This software for IOS data transfer and is named as EaseUs MobiMover Free. This software has to be installed on personal computers with Windows/Mac operating systems and after the installation of this tool, a user can easily transfer photos, audios, videos, messages, contacts, original notes and whatever your iPhone is holding data to your personal laptop or computer. This software permits its use free of cost. An extraordinary feature of this tool is that it also allows syncing of files from the computer to the iPhone/iPad. The first step to be developed is the establishment of connectivity between the iPhone and the PC via a USB cable. Then you have to tap on “Trust” on the device screen and then a pop-up message will arrive which will ask for permission to trust this computer. At this point, the user has to run MobiMover and then go back to the main screen. Next, go on and click on the Folder Icon in order to set up a specific location where the backed up iPhone data would be stored in the PC or the user can go ahead and click on “Next,” and this will let the MobiMover automatically save up the backup data in a folder at a desktop. Next, the user has to click on “Transfer,” and this tool will automatically start to back up the iPhone/iPad to the PC. And when the back-up has been completed, the user can click on “VIEW” to check the items that have been copied. If the exported file is with the .html extension, then the user needs to open it with a browser to view the details.